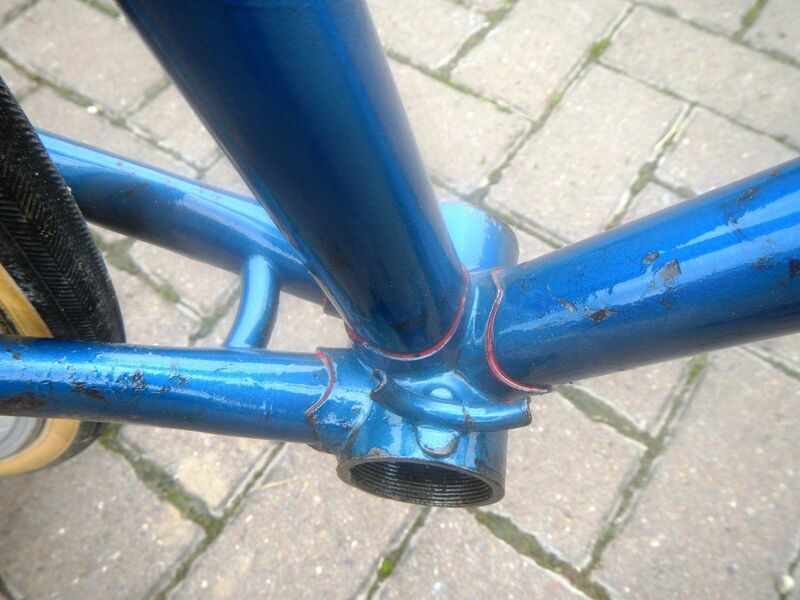 This frame is one of a number which have a very similar form and highest build quality from the Durban Road workshop around the 1972 to 1974 period. I suspect they may be Major’s Professional model made for his pro, semi- pro and top amateur riders but it is unlikely we will ever know. Reynolds 531 DB tubing on Prugnat long spearpoint lugs for which I don’t have a pattern number, probably from the 62 series. These are drilled and beautifully refined. 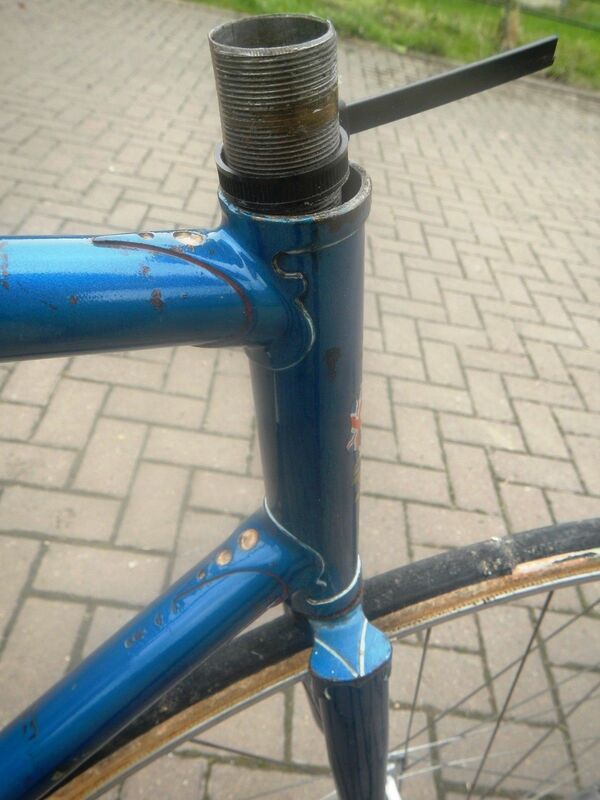 The seat lug has an allen key clamp. 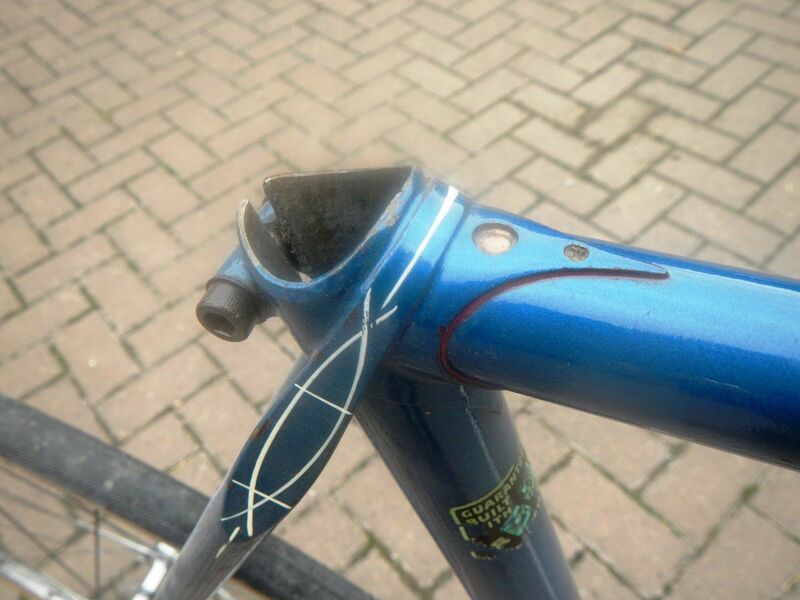 The seatstay bridge is curved and reinforced and the chainstay bridge is also curved. There is a full wrap over seat stay with his double fishtail motif in white. The dropouts are Campagnolo. 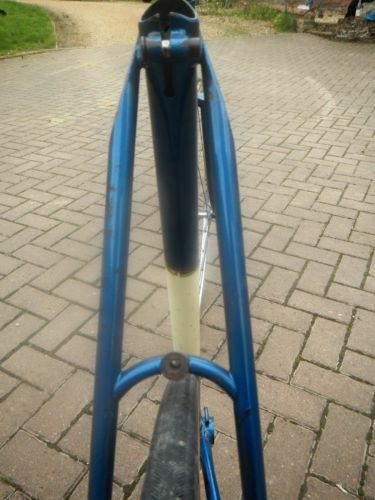 The elegant fork blades have limited relief and will give a fairly short wheelbase and a lively ride and it looks to be a Road Race/ TT machine. 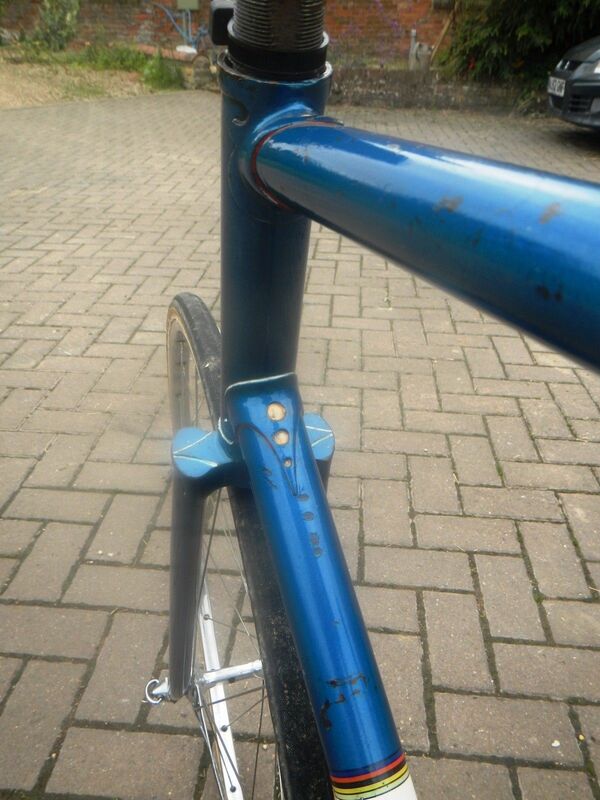 The fork crown is a favourite for these frames, a Vagner DP with losenge fraise’. There is only a rear derailleur guide and offside chainstay stop and a nearside downtube cable stop for a front mechanism. This was the fashion for riders of the era giving total choice of equipment. The finish appears to be original in mid blue flamboyant enamel with white panels on seat and downtube edged with World Championship bands. 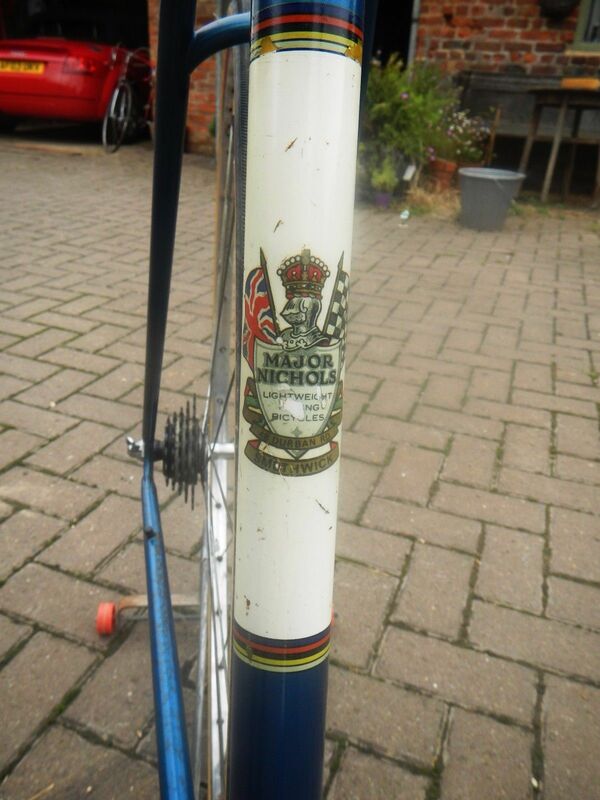 There are Durban Road Shield and Flag head and seat tube transfers and red with black edge Gothic Script name down tube transfers. Lug-lining is in red and white. 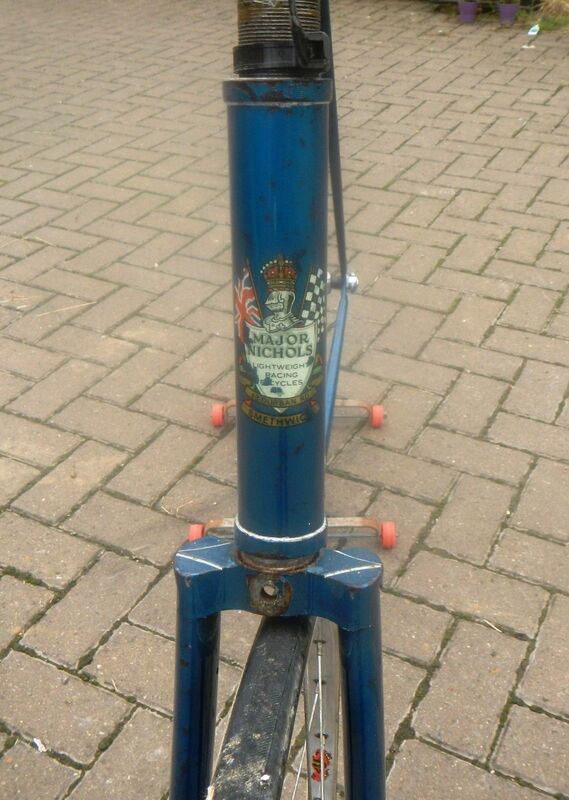 A period Reynolds 531 DB transfer is on the seat tube top. There is a nice patina and with care the rust can be controlled and the paint touched up together with the name transfers to make a very smart lady indeed. 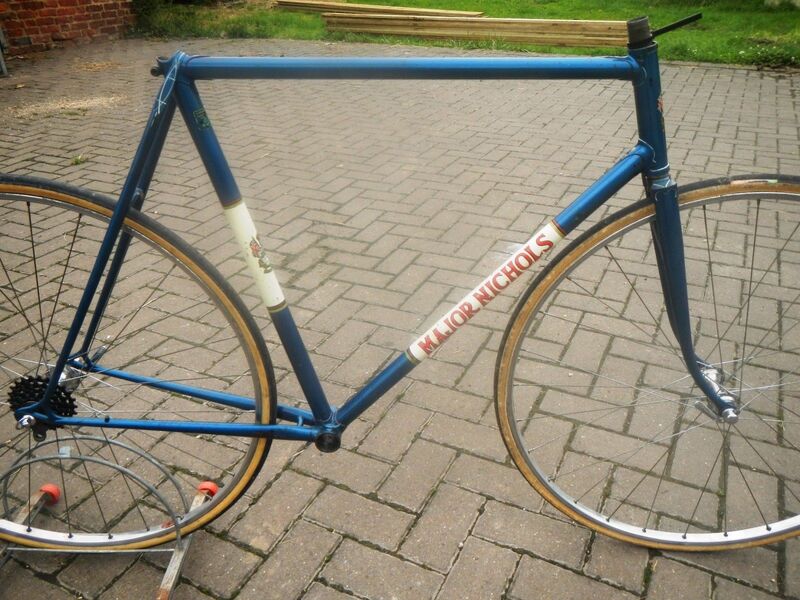 Very nice Major Nichols frame in good condition with original paintwork. 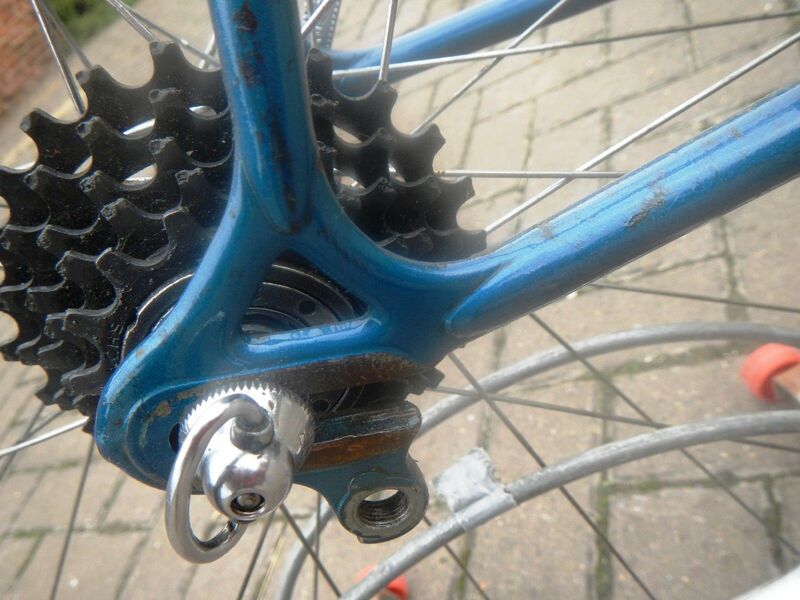 Campagnolo dropouts. 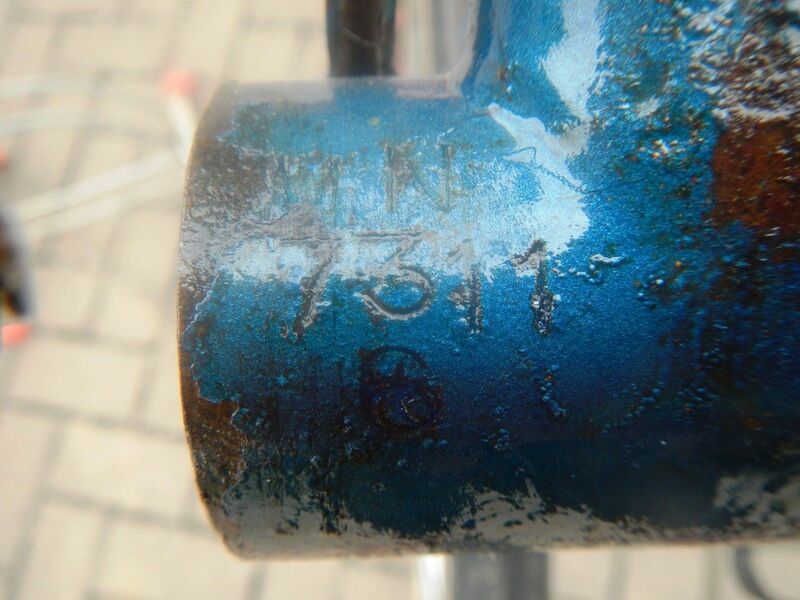 There are some marks to the paintwork and specks of rust. The frame is in sound condition with no dents or bends. 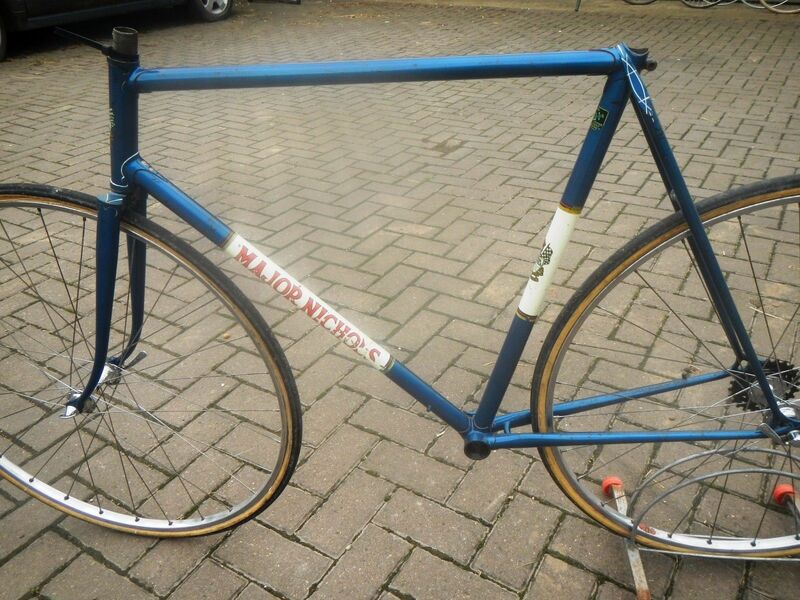 The frame size is seat tube 23 inches centre to top and top tube is 22 inches centre to centre.